The iOS community has always wanted a dark theme for iPhone although Apple doesn’t seem willing to please the crowds in this case. Nevertheless, we have received some improvements over the years such as the Night Shift feature. Finally, iOS 11 lets you enable Dark Mode on your iPhone even though it’s not exactly a dark theme but pretty close though. As I already said, don’t expect to find an option called “Dark Mode” or similar in your iPhone’s Settings app. At least not yet. However, there is a way to change the white background of apps and iOS itself to a black one and make it much more soothing on the eyes, especially in dark and poor-lit environments. 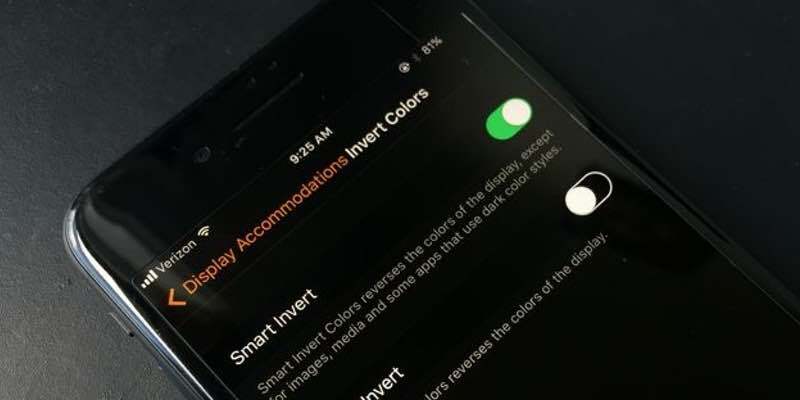 The feature that resembles dark mode is called “Smart Invert”. Apple has been testing it for a while and it works in a simple manner. It inverts a white screen with black text to a black screen with white text. The initial feature also affected other colors, which is not the case now but it’s still available under the name “Classic Invert”. This means photos and other types of media, as well as some apps that use darker colors, will remain as they are. To enable Dark Mode on your iPhone, launch the Settings app and navigate to “General” -? Accessibility -> Display Accommodations -> Invert Colors. There, simply enable the option called “Smart Invert”. Now that you know how to get the closest thing to a dark theme on your iPhone wouldn’t it be nice to be able to enable and disable it without having to navigate through so many settings? That’s actually easy to accomplish by creating an “Accessibility Shortcut”. Go to Settings -> General -> Accessibility -> Accessibility Shortcut. 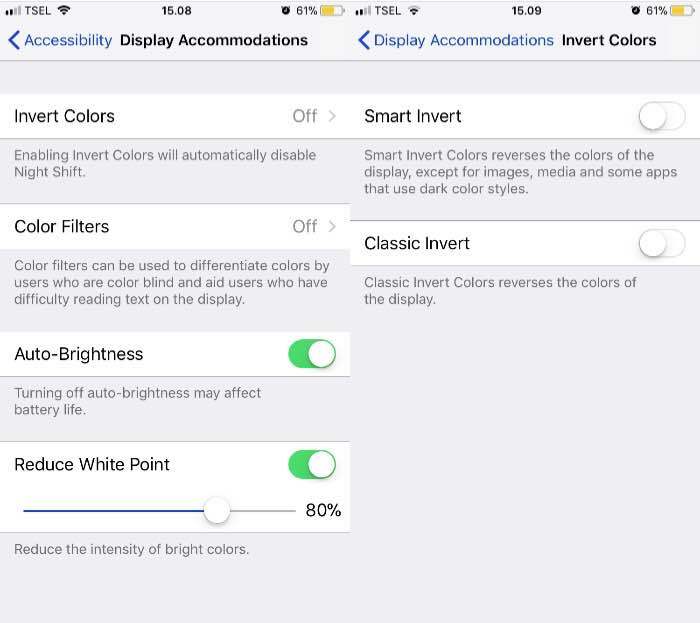 From the list of features, select the “Smart Invert” option. 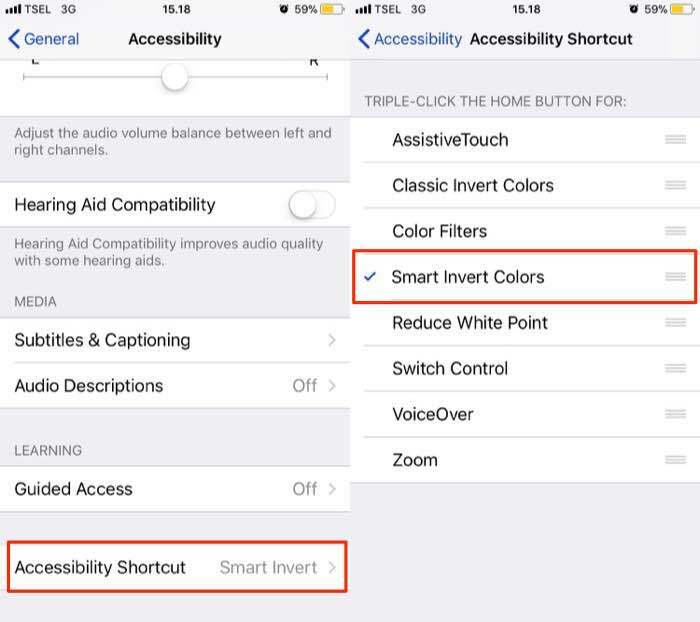 From then on, you can enable and disable Smart Invert by triple-clicking the home button. Keep in mind that Smart Invert is not perfect as it’s still being developed. It might reverse some elements it shouldn’t but hopefully, it will improve over time. Have you tried Smart Invert and how do you like it? Let us know in the comments section!